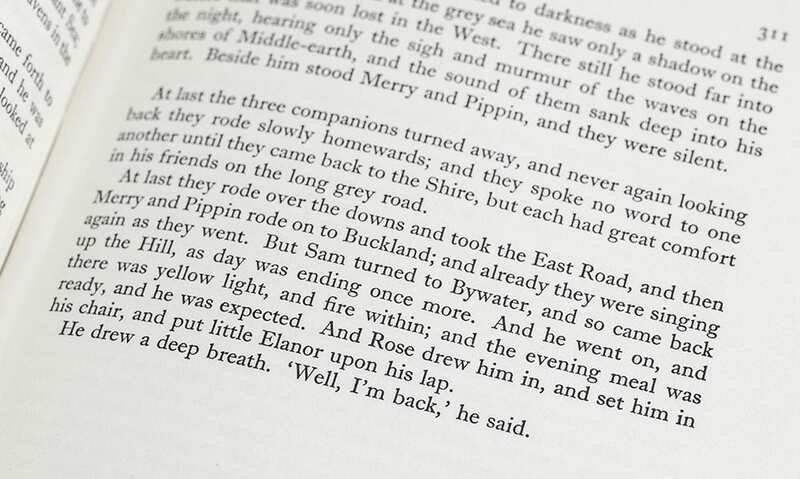 The Lord of The Rings Trilogy: The Fellowship of the Ring, The Two Towers, The Return of the King. London: George Allen and Unwin, 1954-55. 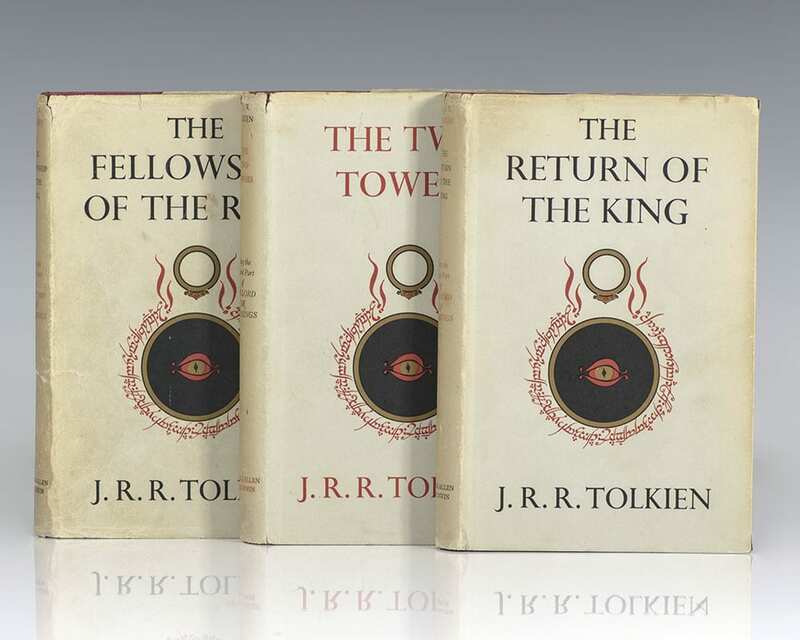 First editions, first states of each title comprising the The Lord of the Rings Trilogy. 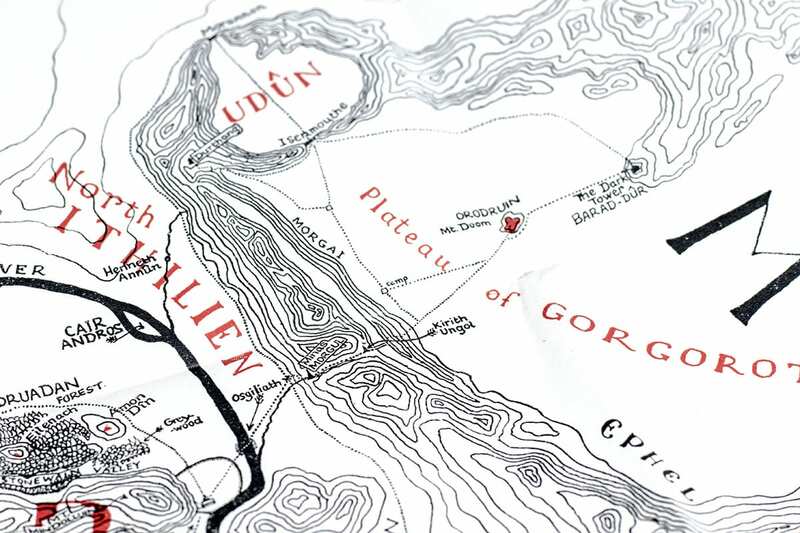 Octavo, 3 volumes, original red cloth, folding map in the rear of each volume. Near fine in very good to near fine dust jackets with some rubbing and wear. Housed in a custom half morocco clamshell box. 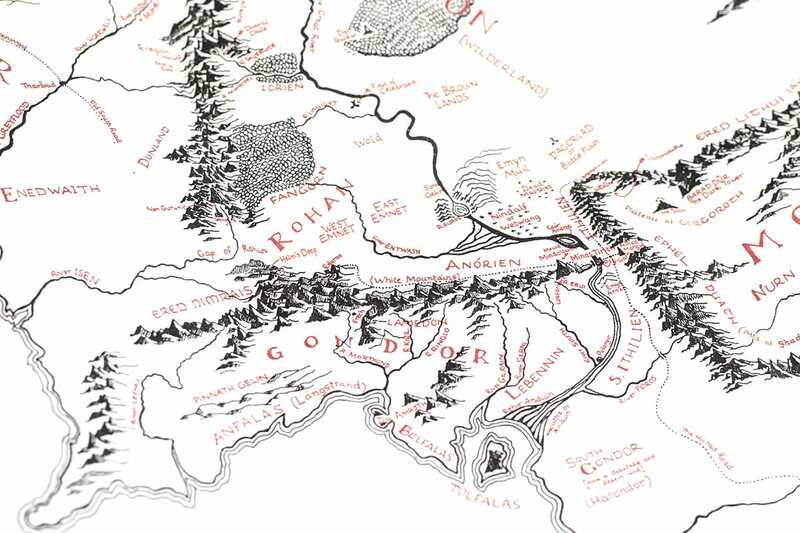 The Lord of the Rings began as a sequel to Tolkien's 1937 children's fantasy novel The Hobbit, but eventually developed into a much larger work. It was written in stages between 1937 and 1949, much of it during World War II in letters to his son, "and finally, having polished it to his own satisfaction, published it as a trilogy from 1954 to 1955, a volume at a time, impatiently awaited by a growing audience It is considered] one of this centurys lasting contributions to that borderland of literature between youth and age It seems destined to become this centurys contribution to that select list of books which continue through the ages to be read by children and adults with almost equal pleasure." 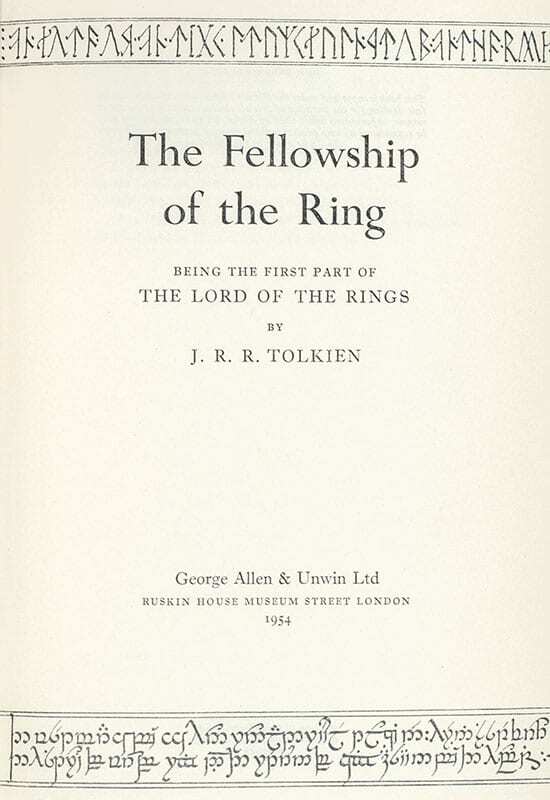 (Eyre, 134-35) It has went on to become the third best selling novel of all-time with 150 million copies sold.